I never thought I would be joining the club, but I guess I have to. I’m now in the Tebow Crush Conglomerate. Not because I like him, I still think people still glorify him a bit too much, but because a lot of people are still skeptical of his chances of being a legitimate NFL quarterback. Tim Tebow is not built to have the same kind of success in the NFL as he did in college. But that does not mean he can't be a good pro QB. Their respective opposing QB’s had less than stellar games. Kerry Collins threw 4 interceptions against the Ravens and Rich Gannon was picked off 5 times against the Bucs. Sanchez was in position to win, but Peyton Manning figured out the Jets defense. There is no reason to believe Tebow can’t be surrounded with a good defense. His mechanics can be fixed. He has a traditional throw, but he drops the ball down to waist-level before release, something that won’t be rectified by draft day but can be worked on in OTAs and training camp. Learning how to take snaps under center can be fixed with time and more reps. 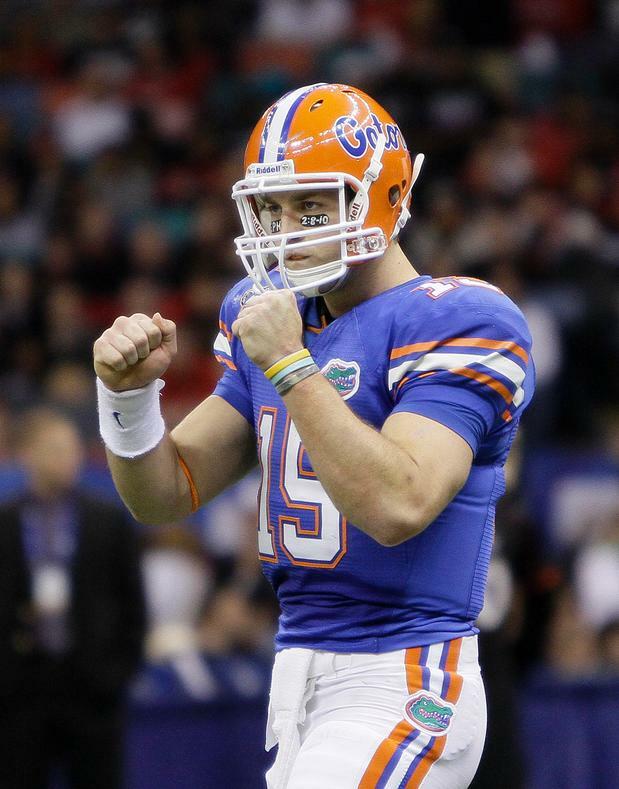 This is Tebow’s ideal situation: draft him in the third round and build a defense around him. If he has to throw the ball 35 times a game, he won’t pan out. Build a D around him and give him a productive running game. On occasion you can ask him to become a gunslinger, but you can’t expect that from him week in and week out.